Surprise your friends! Astonish your family! 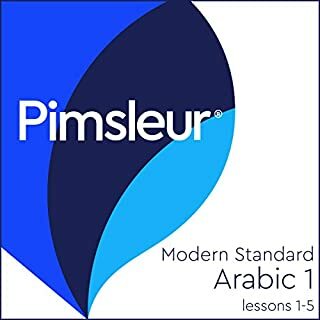 With Pimsleur, you'll be speaking and understanding like a native in no time. Thirty minutes a day is all it takes. Russian Level 1 Lessons 6-10 builds on material taught in prior units. Each lesson provides 30 minutes of spoken language practice, with an introductory conversation and new vocabulary and structures. Detailed instructions enable you to understand and participate in the conversation. Each lesson contains practice for vocabulary introduced in previous lessons. The emphasis is on pronunciation and comprehension and on learning to speak Russian. Great as a supplemental tool for your target language. My Russian coworker says my pronunciation is good and I admit it's due to these programs. Good repetition, but sometimes the male native speaker goes too fast over new words and phrases. Could also use more explantation about grammar. Easy to understand and use. By the end of the first five lessons I am already speaking Russian. And good memory retention. I actually held a brief conversation in Russian with a guy at a bar after one month. he said it sounded like a had been around Russian people. love this program. I bought these because they were on sale on Audible one day and I’d always wanted to learn Russian. I listened to these on the train and though at times I napped while listening I still learned. 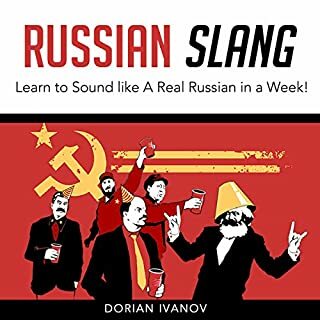 I’ve listened to this book several times and I can understand individuals speaking Russian the news. Give it a go and see what results you get. so stereotypical indecisiveness by her gets old. the man mumbles to much making it wearisome. pace is good. story good. My 2 star rating is based on 2 things. 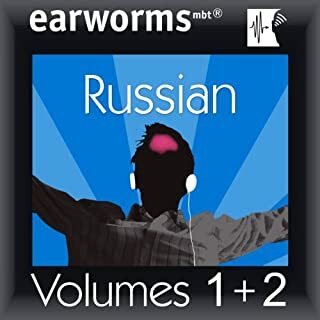 Firstly: the Russian male speakers voice, which sounds slurred (it is very unclear and sounds as if he has been awake for a week and is desperate to go to sleep); Secondly: The grammer and vocab used here differs from that found both in any beginners text books that I have seen and also the uk version of this course (which I got from my library). It seems unnecessarily complex. My advice is find a copy of uk version (not sure if it is still available). 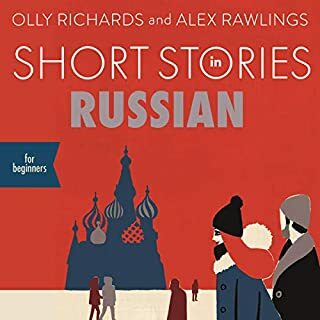 The male Russian speaker is far better and the language more amenable (plus someone told me it was the more usual form used....but as a beginner I cannot confirm this). I'd give the uk version 4 stars. In addition, I would advise backing this method up with a more traditionally styed course for explanations of grammer etc and also with the Pimsleur courses you do not end up with a very wide vocab at the end of hours of repetitive listening....it is thorough but limited. As an addition or alternative I would try Russian Pod 101. This is both fun, informative and uses contemporary Russian.